Round 2: Elite 8 Matchups Set for Monday, March 28th! 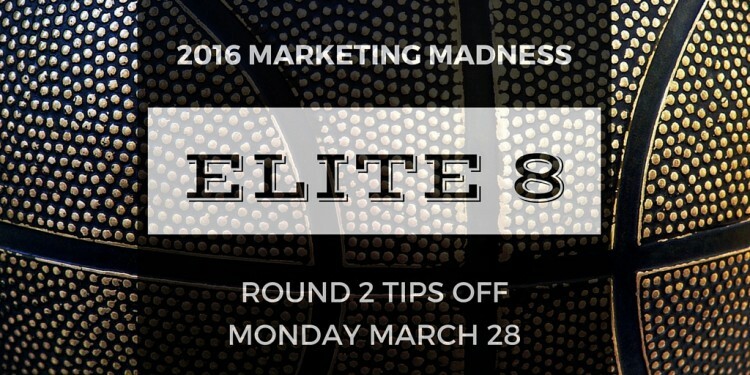 After a whirlwind Sweet 16 round, we are down to 8 teams left in the 2016 RLM Marketing Madness Tournament. Who will win the Elite 8? 1 @Hootsuite vs 2 @SproutSocial – Sprout Social advances to the Final Four! 3 @Marketo vs 4 @Optimizely – Optimizely advances to the Final Four! 1 @Moz vs 3 @SEMrush – SEMrush advances to the Final Four! 1 @GoogleAnalytics vs 2 @MailChimp – Google Analytics advances to the Final Four! We have some amazing matchups slated for Round 2. Social media superstars Sprout Social and Hootsuite face off to battle it out for a spot in the Final Four. We will also see two SEO powerhouses, Moz and SEMRush, go head-to-head in the second round! On the other side of the bracket heavy hitters Google Analytics will try to “convert” a victory over MailChimp. Will MailChimp face a “hard bounce” from the tournament or will the team deliver and start “clicking” at just the right time? 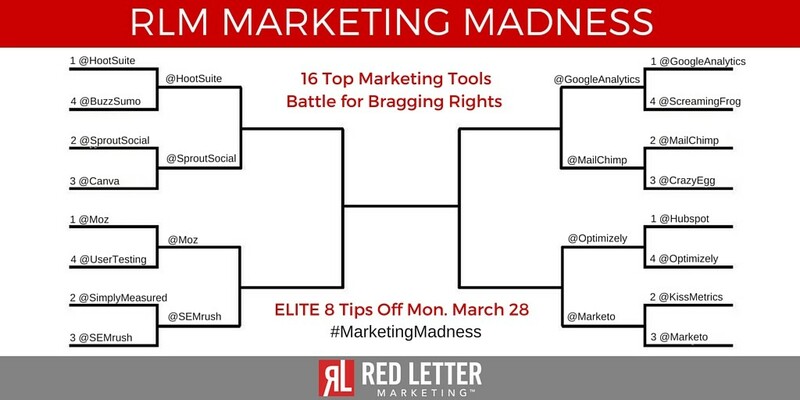 Rounding out the Elite 8, an Optimizely upset over Hubspot in the first round sets them up for another marketing automation matchup against Marketo in our final pairing. The Round of 8 tips off on Monday March 28th. Each match up will be decided by a Twitter poll that will run for 24 hours from tip off. 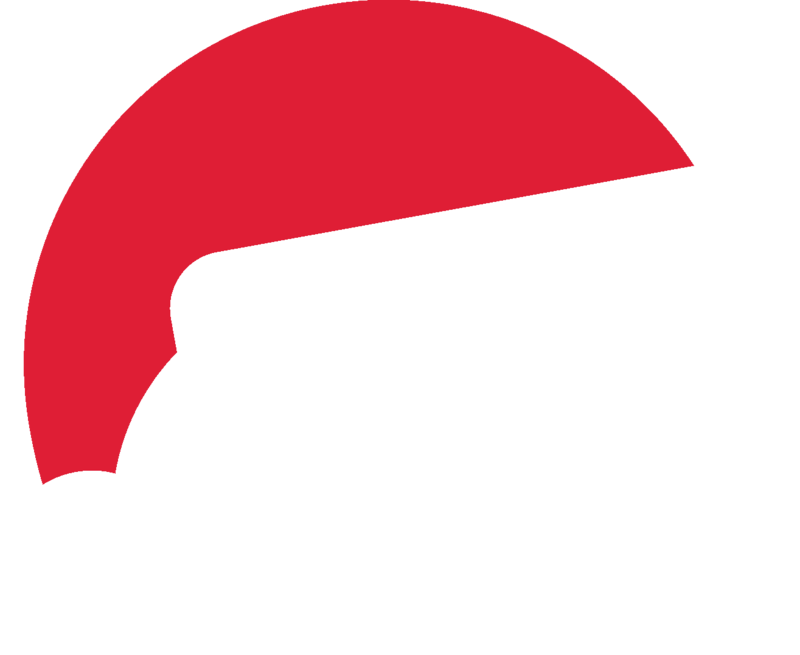 The team with the most votes will advance to the next round. Make sure you follow the matchups on Twitter and place your vote for the marketing tool that you cannot live without! You can also follow #MarketingMadness on Twitter to stay up to date with all of the tournament action. Follow RLM on Twitter and #MarketingMadness to stay up to date on all the tournament action.